Wow, after only blogging for almost 2 weeks, I just received my first two Blog Awards, one called "The Versatile Blogger," and the other called "The One Lovely Blog Award." I was nominated by Antonia at Forkin 4th . Thank you so much Antonia! 5. 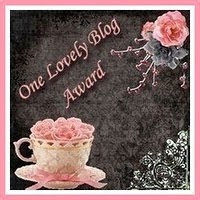 Nominate 15 (so hard to find blogs who don't have these awards, I tried :)) other bloggers for the award. 3. Share the love! 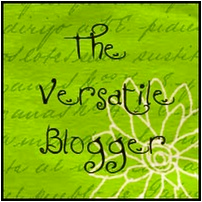 Pass the award onto 15 (or 5)new bloggers! 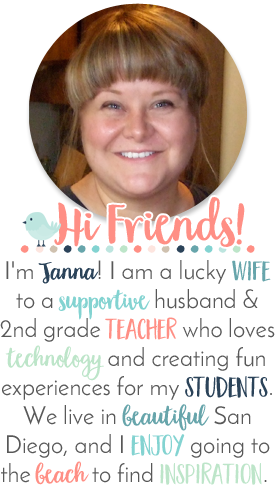 I am married to my best friend, and he is so supportive of me and my love of teaching! I have two Ragdoll cats, named Lucas and Abby. While we were in Oregon on vacation, we blew glass and created a beautiful glass float. I love the beach; we were married there and live so close we visit it often. I am originally from Washington State, but San Diego is my second home now. That was really fun! Thanks again Antonia for nominating me for these 2 awards. Welcome to Blogland and thanks for the awards. You're welcome. 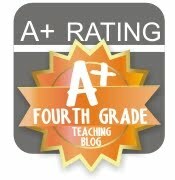 I loved looking through your blog. I am going to go back to it often. :) I looked through some of the anti-bullying things you posted, because I start the year off with teaching our 7 virtues, introducing my 'Bucket filling' activities, and our school wide "Say No to Bullying" week. Thanks for posting your ideas. Thank you for my awards. I Love your blog so much. It is original and oh so cute. Love all the ideas too!